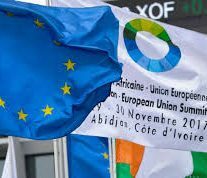 The 5th African Union-European Union summit, that took place on 29-30 November in Côte d’Ivoire, occurred during a crucial period for the relations between Europe and Africa. Under the focus of youth and development, the summit brought together in Abidjan leaders from 55 African Union and 28 EU Member States. And, inevitably, participants brought the attention on the crucial issues of security and migration, two challenges that highlight the strong interconnection between the two Continents. But this summit also stressed once more, that the interconnections between EU and Africa should not just be dealt with an “emergency” strategy and should be mixed through a long term cooperation programs that aims at tackling the key challenges of security and migration with a stable economic development plan. Also for this reasons, it could be highlighted that several African leaders attending Abidjan’s summit stressed the importance of Africa 2063 agenda, set by the African Union under the guiding vision to create “an integrated, prosperous and peaceful Africa, driven by its own citizens and representing a dynamic force in international arena”. Africa 2063 agenda is a strategic framework for the socio-economic transformation of the continent over the next 50 years: its builds on, and seeks to accelerate the implementation of past and existing continental initiatives for growth and sustainable development. Some of the past and current initiatives it builds on include: the Lagos Plan of Action, The Abuja Treaty, The Minimum Integration Programme, the Programme for Infrastructural Development in Africa (PIDA), the Comprehensive Africa Agricultural Development Programme (CAADP), The New partnership for Africa’s Development (NEPAD), Regional Plans and Programmes and National Plans. “Before it’s too late, we need a radical change that puts the African continent on top of the EU’s political agenda,” European Parliament President Antonio Tajani said just before the summit. EU and AU leaders together adopted in Cote d’Ivoire a joint declaration outlining common priorities for the EU-Africa partnership in four strategic areas: economic opportunities for youth; peace and security; mobility and migration; cooperation on governance. And as stressed by EU Council president Donald Tusk, Europe “is Africa’s biggest partner and closest neighbour. Its biggest investor, its biggest trading partner, its biggest provider of development aid and humanitarian assistance as well as its biggest contributor in peace and security. And this summit demonstrated our determination to reinforce our partnership even more”. At the summit in cote D’Ivoire, African and EU leaders focused on investing in youth: this is a key priority for Africa and the EU as 60% of the African population is under the age of 25. In this sense, EU and AU leaders agreed to support the mobility of students s across the African continent, also by enhancing exchange programmes between Africa and Europe, such as ERASMUS+. Furthermore there is a strong focus on economic development, namely as regard the development of entrepreneurship in Africa: the EU’s innovative External Investment Plan (EIP), which will mobilise 44 billion euro of private investments for sustainable development and job creation, plays a strong role in this regard. And in the Côte d’Ivoire capital, ahead of the African Union-European Union Summit, the European Investment bank (EIB) signed its first, landmark agreement with the African Export Import Bank (Afreximbank). The agreement involves a finance facility for EUR 100m from the EIB: the seven-year loan will finance trade-related investments and projects in Sub-Saharan Africa. And it will support African promoters carrying out small and medium-sized long-term investments with favourable financial terms in more than 40 countries across Africa where Afreximbank operates. What appears clearly in Abidjan is that security and migration issues could not be solved alone without a strong support on Africa development, also to counteract the strong presence of China that invested a lot on this continent during past years. Off course it is of utmost important that EU and AU leaders agreed to set up a joint EU-AU-UN Task Force, to save and protect lives of migrants and refugees along the routes and in particular inside Libya. But on the other hand it is crucial to keep on investing in the long term development of African countries economy. “We must not only aim at creating jobs for the youth, but also and more importantly, in building their capacities with appropriate skills, expertise and attitudes that will enable them make positive contributions,” asserted Kenya President Uhuru Kenyatta during the summit in Abidjan. The support, Kenyatta said, will ensure Agenda 2063 – Africa’s vision and action plan towards sustainable socio-economic and political development which recognizes the need to empower African youth and women to be the drivers of change – is achieved. Thus it is evident that the peace and security challenges that Africa is facing today cannot be left to the AU to resolve alone. This therefore requires African Union to work together in a concerted way to address the root causes of instability and insecurity in order to create a sustainable future for the youth as envisioned by AU Agenda 2063 and the United Nations 2030 Agenda. Abidjan summit was important in order to highlight that there is a long term plan for the future of people in Africa. Migration is not a tolerable solution for young people in Africa: it is big problem and therefore EU should strongly support all the initiatives aimed at tackling the root causes of this epochal phenomenon.